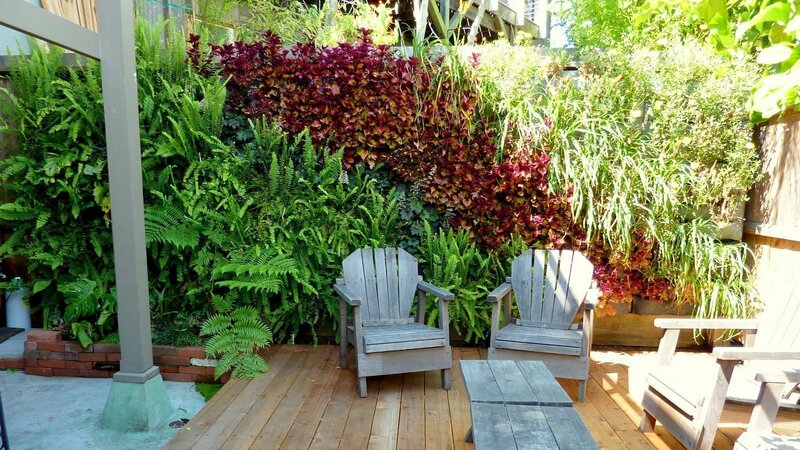 This San Francisco backyard used Florafelt Vertical Garden Panels to create a lush living wall for it’s compact deck space. 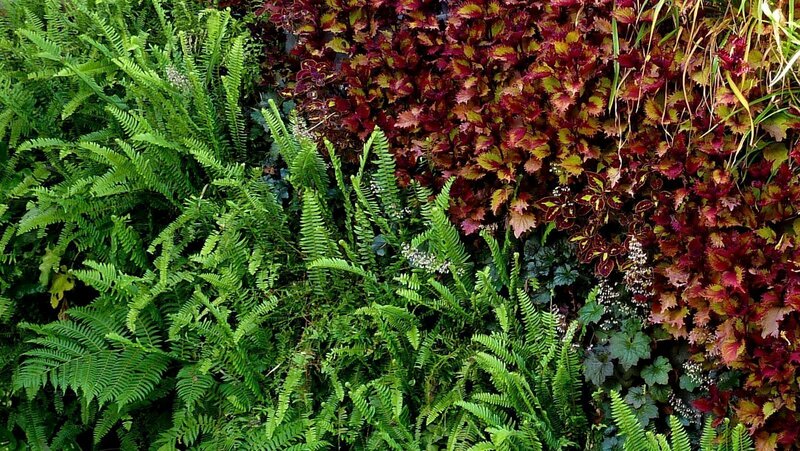 Ferns fill the full-shade side of the fence while sun tolerant choral bells and coleus grace the middle zones. Sun loving iris and daises fill the right corner that gets full sun in summer. 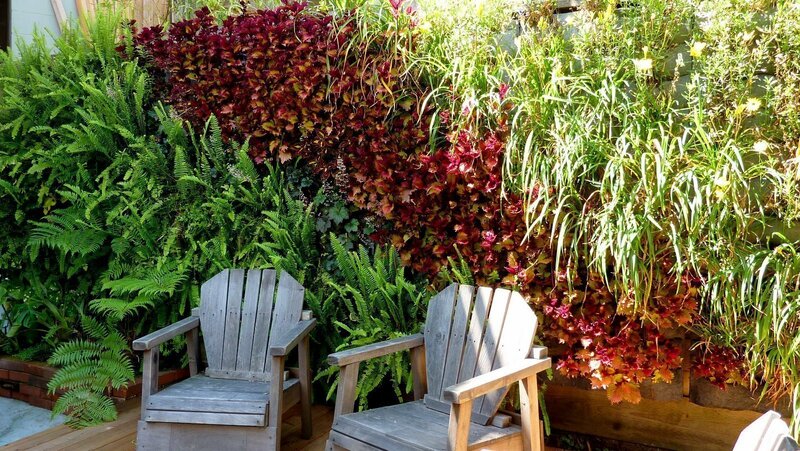 A living wall was chosen as the best way to hide the backside of a neighbors fence. The wall is made with seven F24 and seven F12 modular planter panels to create 19 foot wide by 6 foot high garden. The rigid Florafelt planters come with hanging tabs on the top corners which make them easy to hang anywhere. For this installation eye hooks were placed along the top of the fence every 32″ (the width of the planters) and 6 foot chains were hung down. The planters were then hung on the chains using S hooks. The entire wall can be installed and planted the same day with 4″ to 6″ plant starts for an instant grown-in effect. Automatic irrigation lets you forget about it as it grows, other than the pampering you may desire to give to your garden. Root-wrapped plants are easy to arrange and change for seasonal color, or just change of heart.